France will be getting a Regional-Edition Quai d’Orsay this year, and it’s going to be a big one. The Quai d’Orsay Capitolio measures 6 1/2 inches by 54 ring gauge (called Sublimes in Cuban factories), and should be hitting the French market by the end of the year. The name is a tribute to the famous Cuban monument in Havana. 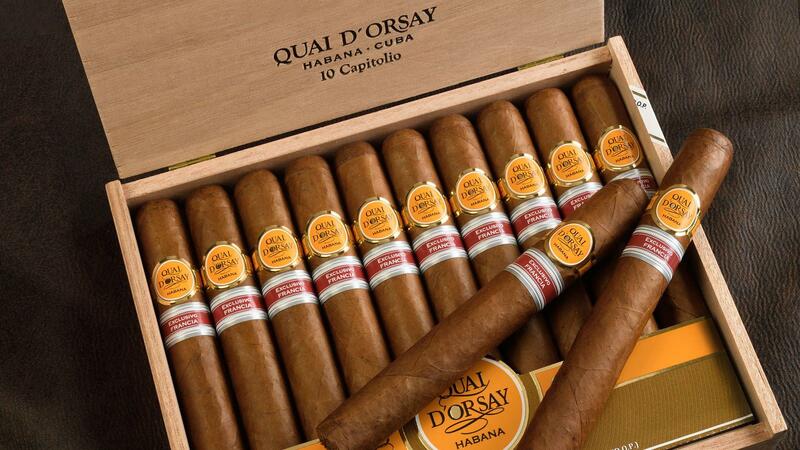 Packaged in 10-count boxes, the Quai d’Orsay Capitolio will retail for 18.30 euros apiece (about $21). Only 15,000 boxes (or 150,000 cigars) are being produced. According to SEITA, the French distributor of the Quai d’Orsay brand (and the French arm of Imperial Brands PLC), the first batch of the limited-edition cigars were rolled in the Partagás Factory over the last few months. The Quai d’Orsay Capitolio measures 6 1/2 inches by 54 ring gauge, a size known as Sublimes in Cuban factories. The Capitolio is the sixth Regional-Edition Quai d’Orsay made for France, and is also the largest. Quai d'Orsay was created in the 1970s by Valéry Giscard d'Estaing, who was France's secretary of the treasury. He felt that France needed an official cigar to complement the country's other lifestyle products such as Champagne and foie gras. The Quai d'Orsay cigar, named after the wharf along the river Seine in Paris, was the result. Once a sleepy brand sold primarily in France, Quai d’Orsay has been pushed into the spotlight recently as the entire line was rebranded in 2017 and is now offered globally. In a vertical brand tasting in the January 9 Cigar Insider, the three new sizes of Quai d’Orsay scored 88, 90 and 92 points. For a rating on the Quai d’Orsay Capitolio, see an upcoming issue of Cigar Insider.